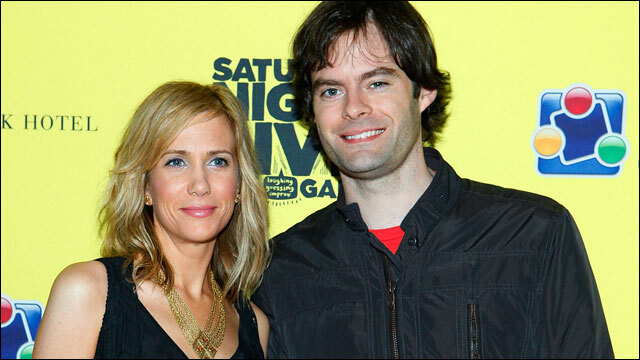 “Bridesmaids” star Kristen Wiig is set to join her former “Saturday Night Live” co-star Bill Hader in “The Skeleton Twins,” an indie comedy that will be a co-production between Jay and Mark Duplass’ banner Duplass Brothers Prods. and financier Venture Forth. Luke Wilson is set to co-star in the pic, which Craig Johnson (“True Adolescents”) is directing from a script he co-wrote with Mark Heyman (“Black Swan”). Wiig and Hader will play estranged twins Maggie and Milo, who coincidentally cheat death on the same day, prompting them to reunite and confront how their lives went so wrong. For Maggie, that means re-examining her marriage to sweet “nature frat boy” Lance (Wilson), while her gay brother Milo revisits his old flame Rich, a former teacher with a past he’d rather keep quiet. As the twins’ reunion reinvigorates them both, they realize the key to fixing their lives may lie in fixing their relationship with each other. DBP exec Stephanie Langhoff will produce with Jennifer Lee and Jacob Pechenik, while the Duplass brothers will exec produce with Jared Goldman. Production is skedded to start at the end of the month in New York. ICM Partners, which reps the Duplass brothers, packaged the project and will co-rep domestic rights with UTA. Wiig recently wrapped Ben Stiller’s “The Secret Life of Walter Mitty” and is currently filming Liza Johnson’s indie “Hateship, Friendship” with Guy Pearce. Thesp will soon be seen opposite Annette Bening in “Imogene,” which she exec produced. Hader recently played Andy Warhol in “Men in Black 3” and will soon be seen in Maggie Carey’s comedy “The To Do List,” which CBS Films will release on Valentine’s Day. Johnson, who recently completed the Twentieth Century Fox Writer’s Studio, previously directed Mark Duplass in “True Adolescents,” which premiered in competition at the 2009 SXSW Film Festival. He’s repped by CAA, Mosaic and Bloom Hergott. Wiig and Hader are both repped by UTA and Odenkirk Provissiero Entertainment. CAA reps “Enlightened” thesp Wilson and Heyman, who’s also repped by Management 360.